The Saga of the proliferating Nikons. Some thoughts about cameras and camera systems. It all started with a comfortable combination. When I picked up an ultra-cheap Nikon D610 I rediscovered my much loved 105mm f2.5 ais lens. Having rediscovered the 105mm I immediately rekindled my love affair with the 50mm f1.2 lens and felt the rush of familiarity in using that lens at its intended angle of view. The experience was nostalgic, sentimental and, well, it reminded me that there's a lot to like about the 3rd best (35mm sized) sensor in the world. Especially when packaged in a good camera body for not a lot of money. I probably should have stopped there but I started pressing the D610 into commercial service and that's when I fell down a different rabbit hole. You see, all during my career I've tended to buy and use camera bodies in tandem. One as a main shooting platform and the second as an identical back-up when doing advertising projects. For public relations and event work (math conferences, banking conferences, tech conferences) I usually put a wide to normal zoom on one body and a long zoom on a second body and carry them over each shoulder rather than toting a camera bag around. When selecting a second body I want something that is the same format. That way, in a pinch I can use either lens on either body to good effect. No extra thinking required. I would also want to have two bodies from the same maker and the same era; that way I would have a reasonable expectation that the menus would be very, very similar, the nomenclature identical and the operation most rational. And it's always better if each body has an additional strength you can count on. I looked at a second, identical D610 body but I decided that I wanted to choose a second body with some additional benefits. 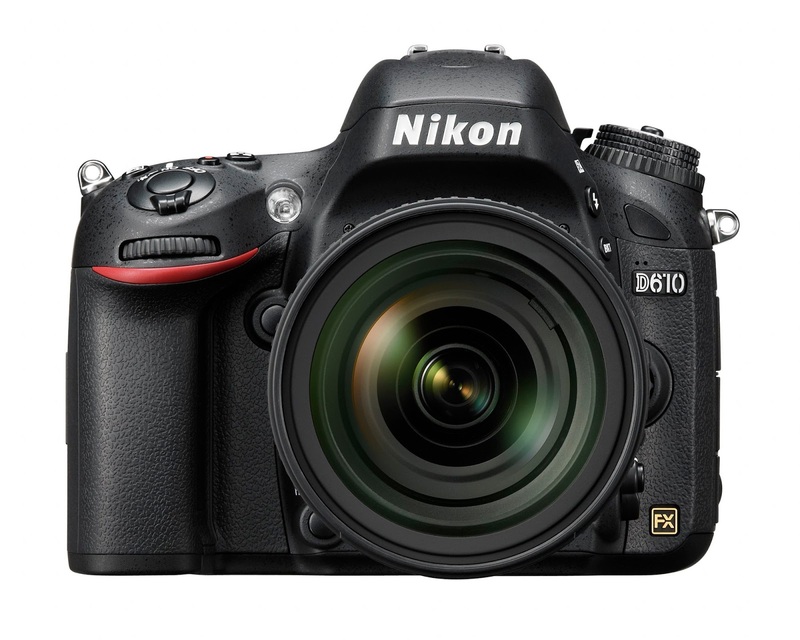 While the D610 has one of the best high ISO ratings on DXO and the same high dynamic range as both the D750 and the Nikon D810 what it doesn't have is a complete set of video features. The D610 requires you to exit video to change apertures on non-manual lenses, it also lacks 60 fps in 1080p. Finally, video people in the know tell me that the codecs on the D750 and D810 are vastly improved. All three cameras can output uncompressed files in 4:2:2 so adding a Ninja Star digital recorder gets you into the realm of really, really great video quality at a very low additional cost. When I weighed the pluses and minuses between the 750 and 810 the 810's higher resolution was a selling point, but so were the higher top shutter speed (1/8000th) and the higher flash sync speed (1/250th). The D810 also added 1.5 and 1.2 crop modes and because of the very high pixel density it is still able to deliver 16 megapixels into 1.5 (DX) and 20-something pixels into the 1.2 crop. Any combination of the three cameras would do a great job getting me good, high resolution files for still work but the D810 would add the ability to do really good video with a wide assortment of fast lenses. It also provides an "ultimate" marketing tool when I come across techie clients who are interested in getting the highest resolution files for their work. I am also interested to see what kind of look the combination of the "flat profile" and high resolution sensor of the D810 will create when making portraits. I am hoping for the endless and subtle cascade of tones I used to be able to get from medium format film files. Once I made up my mind in favor of the the D810 I headed up to Precision Camera where I got the camera (as can anyone else) for the exact same price as I would have paid at Amazon.com or B&H Photo and Video. I love to keep my money as local as I can and I certainly owed the sale to Ian (my regular sales guy) since he spent much time with me going over the assortment of cameras over the last few months. It's always wonderful to have a bricks and mortar resource where I can go in and actually handle the cameras and put them through their paces. Had I not handled the D810 and heard the vast improvement in the sound and feel of its shutter I might have just defaulted to the D750 just to save some money. But I would have missed out on owning the 35mm style camera that currently boasts the best sensor specs and overall image quality in that market. It was sunny and warm in Austin today. I grabbed the new camera and a 24-85mm G f 3.5 to 4.5 lens and walked around shooting. It was a blast to shoot in the sunlight with a (native) ISO of 64. Even though the camera's main failing is its lack of an EVF the view through the optical finder was pretty nice. But the real joy was the well behaved shutter mechanism. When I got back to the studio I tossed the uncompressed, 14 bit raw files into Lightroom and took a good, long look. The color in the files is wonderful and no matter how hard I tried it was impossible to find even a trace of noise. Next week I'll be shooting a dress rehearsal for Zach Theatre. I am looking forward to having one body with a fast 80-200mm ED f2.8 on it and a second body with the 24-85 on it. Each body with a killer sensor. It should be fun. I'll write a review of each camera as I accrue more experience with them both. We've got some low light projects just on the horizon. It's a quiet Sunday morning around here. Ben and his entourage of video game playing, snack food chomping, tea swilling, chinese food and pizza eating friends have all headed back to their respective colleges, scattered all over the United States. I got him up this morning around six and handed him a cup of coffee and some more money. He likes both. We got him to the airport early, which he likes. He is a lot like me when traveling; he wants to get through check-in and security with lots and lots of time to spare. Once inside the secure area he can have a leisurely breakfast and catch up on the news and the blogs. He's flying from Austin to Albany and going from day time temperatures in the low 70's to day time temperatures in the high teens. I bought him more ski mittens. He probably didn't need them but the idea of them keeps me warm. He's heading to Saratoga Springs and Skidmore College to finish out his first year. For the first time in a month we're largely socially unscheduled. I guess that means it's time to get back to work on some projects. First up, in the next blog, we'll be discussing new gear for the year. Did I just buy some? You bet! Hope everyone with kids away at college is handling it at least as well as me. And to all those people whose kids are on that track but aren't there yet-----save up money!! !